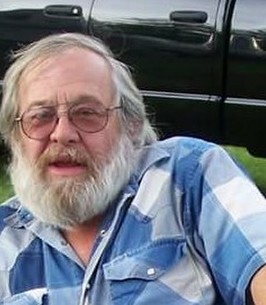 PERU: Robert L. “Bob” Mills, 69 of Peru, IN died suddenly on Sept. 29, 2018. He was a former resident of Elwood, IN for many years. Bob was born in Noblesville on Aug. 27, 1949 and was the son of Richard S. and Marilyn (Nord) Mills. Bob was a long distance truck driver most of his life and retiring from Marten Transport, Ltd. In 2003. He is survived by his son, Robert Shea (Susie) Mills and his grandchildren, Morgan Boss and James Brizendine. At Bob’s request cremation has taken place and there will be no services. To send flowers to the family of Robert L "Bob" Mills, please visit our Heartfelt Sympathies Store.